Sun, Stone and Shadows: 20 Great Mexican Short Stories, Ed. by Jorge F. Hernandez, Fondo de Cultura Economica, 2008. It can be tricky reviewing an anthology. Especially a general anthology that strives to introduce the literature of a particular country or region, since in an attempt to be all-encompassing, these anthologies can seem too diffuse, without anything linking the included pieces. When I first picked up Sun, Stone, and Shadows I was pleasantly surprised by two things: the quality of the authors included (more below) and the way these stories were grouped into five distinct sections. These sections—“The Fantastic Unreal,” “Scenes from Mexican Reality,” “The Tangible Past,” “The Unexpected in Everyday, Urban Life,” and “Intimate Imagination”—are good guideposts for readers and useful for introducing some of the overarching themes and styles found in Mexican literature. One of the other things that’s interesting about this book is that it’s published by the Fondo de Cultura Economica in collaboration with the National Endowment for the Arts Big Read program and was also published in a Spanish version. As a result, this anthology will be the basis of two Big Read programs in the U.S. (both in Texas) and two programs in Mexico (including one in Ciudad Juarez, which, after reading 2666 totally freaks me out). According to the NEA press release this is in the tradition of the Big Read Russia and Big Read Egypt. Hopefully this aspect of the Big Read will continue to expand, both in terms of the countries involved, and in supporting Big Read events around the country that are based around these international titles. 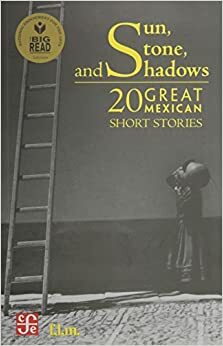 In terms of the actual anthology, the authors included are a hit-list of some of the biggest names of Mexican literature: Octavio Paz, Carlos Fuentes, Salvador Elizondo, Juan Rulfo, Rosario Castellanos, Jorge Ibarguengoitia, Juan Garcia Ponce, Sergio Pitol, and Jose Emilio Pacheco, in addition to eleven more. It would’ve been nice to include some younger Mexican writers, but the editors decided to restrict this to writers born between 1887 and 1939, providing a decent range of material that fits nicely with the overall scope of the Big Read. As someone who reads a lot of Latin American literature, I was already familiar with the work of most of these authors, although on several occasions, the stories included in this anthology were new to me. What I particularly appreciated about this book was that authors like Ibarguengoitia (who was published in that Avon mass market series of Latin American authors that came out in the 80s) and Elizondo (whose bizarre, yet captivating Farabeuf came out from Garland Press in the mid-eighties) are included here. Both are somewhat “risky” authors, whose work is pretty unconventional. For instance, the Elizondo story included is “History According to Pao Cheng,” which is a metafictional piece in the vein of Cortazar’s “Continuity of Parks.” In “Pao Cheng,” a philosopher is sitting by the edge of a stream contemplating the flow of history and imagining life to come for several millennia, until he focuses on a particular moment, a particular city, and a particular man. Another of my personal favorites is the absurd story “The Switchman” by Juan Jose Arreola—an author I wasn’t previously aware of but whom Jorge Luis Borges said “could have been born anywhere, and in any century.” “The Switchman” is about a strange train station and a man’s attempt to get to his destination. Overall, this is a solid anthology that will fit nicely into the Big Read program. I’m not sure if this book will be stocked in bookstores (hopefully it will be, but I’m not sure how FCE is distributed in the U.S.), but it is available through Amazon, and with a list price of $10, it’s a great bargain.